Pastor Paul Carey. Wisdom. Whimsy. Wherewithal. On Father’s Day I celebrated five years in ministry. Five years is just enough time to start getting to know people in Terre Haute. It’s just enough time to start to make a difference. In 1981 a man named Paul Carey moved to town with his wife Sharon. Since then he has served God in Terre Haute at two churches. 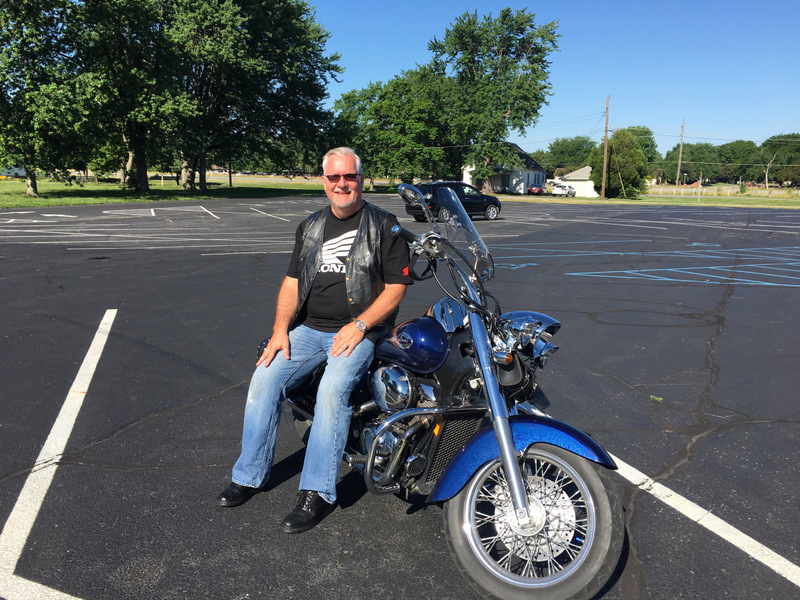 He started off for about 25 years as the pastor of First Baptist North Terre Haute. Then 12 years ago he started a church. His wife, Sharon is the head of one of the largest crisis pregnancy centers in the country also based here in Terre Haute. All kidding aside, here are three things I’ve learned from Paul. Paul has really collected the experiences in his life and has a unique ability to share from what he has learned. He was a no-brainer when we were looking for the next president of the ministerial Association. And whenever we look for a “city father” to speak into a community wide event, Paul is almost always on that list. What is it about Paul that gives him that wisdom? I see him as a person who has really taken to heart life experiences. He has allowed those experiences to grow his faith and challenge him to go deep with God. I also see Paul is someone who has a heart for other people. He is willing to tell it like it is. He is also willing to do what it takes to show love in a wise manner. I really respect how Paul understands people and is thoughtful and how he interacts and leads. Here’s my take away: I want to be more diligent about living life on purpose and paying attention. Life hasn’t been perfect for Paul, but he’s learned each step of the way. I want to do the same. Paul is not “quaint” or really “fanciful.” But he does have a sense of humor. Paul certainly is sharp as a tack with a keen intelligence. But that’s not quite what is remarkable about him. So, since I’m pretty committed to using the letter “W” for Paul I stuck with “whimsy” as one of my title words. Paul lives as a profound mixture of a man. He is wise in that he has learned from what has happened to him. He has walked with God and learned from that walk. Yet, he has a tremendous sense of humor. I have heard countless hilarious stories from Paul. He played so many jokes on his kids growing up, and they still turned out OK.
To know Paul well is to laugh with him. My take away from Paul is this: for me to minister well I must maintain a strong sense of humor. I must be willing to be silly with my kids. I must be willing to laugh at life. However, to really capture what Paul has lived I need to mesh in a deep sense of growing in wisdom with a profound sense of humor. Yet, the idea didn’t die. Paul didn’t get shot. And he started another church in Terre Haute. New Life Community Church started in the basement of an old mall in town. From the beginning Paul’s heart was to make a church to reach the un-churched. 12 years later NLCC is a fixture in downtown Terre Haute. Paul’s dream has gone from a golf course to a basement to downtown. And he is reaching unchurched people. Paul has demonstrated the ability to make things happen. I don’t know anymore of his history at First Baptist then what he has told me. But I know that for a pastor to serve for 25 years says something about his abilities. I do know how hard it is to lead an established church for five years. Paul has birthed a church and lead it for 12 years. I can’t imagine what it takes to start a church. Paul is the man with the wherewithal to make things happen. I admire that. FYI, Paul agreed to guest write a whopper of a post for me tomorrow about what he learned from starting a church. Read it here! I don’t know all of what it takes to get things done like Paul and Sharon do. But I’m gonna keep bugging Paul until he explains it all to me. I do know, however, that Paul saw a vision and a need and he pursued it until it was accomplished. (And he is continuing the work.) There will always be work that needs to be done by people who are willing to step up to the plate. I do respect Paul and I am grateful for what he has taught me. I hope that in my life I will collect wisdom from what God leads me through. I plan to live with a greater sense of whimsy or humor not taking myself too seriously. Finally, I hope to summon the wherewithal within me to get done what God lays on my heart. In the context of serious theological discussions, it may seem trivial to write about first impressions of guests when they visit your church. But, if we could understand that a returning guest has more opportunities to hear the gospel and experience Christian love and fellowship, we might take the issue a bit more seriously. Prior to assuming the presidency of LifeWay, I led a church consulting company. One of our first steps in the consultation was to send one or more first-time guests to the church. Those individuals would then report back to us on their experiences. Many times those we enlisted were unchurched non-Christians. I am working at home today because a handyman is working on several small items around my house. I love his approach. When he first enters our home, he asks for permission to take a quick tour. Within minutes, he commented on several items that might need his attention, items that weren’t on the list I gave him. I appreciated his thoroughness, and it was good for his business as well. The handyman did something very basic and very simple. He looked at my house through outside eyes. I am in my house everyday, so I don’t notice those things that may not be just right. The same is true for church members and church leaders. They see their church on an ongoing basis, so they don’t have the benefit of outside eyes. After two decades of church consultation, a clear pattern emerged. These were the areas that engendered more comments and concerns from first-time guests. These areas are listed in order of frequency of response, and they deal only with physical facilities. I will address non-facility issues in next Saturday’s blog. Almost 100 percent of the female guests we retained addressed this issue. They noticed first and foremost the cleanliness of the restrooms. Then they noticed the convenience of getting to the restrooms. Finally, they noticed the capacity of the restrooms. Did they have to wait in line? This area was a focus of near unanimity of young families. Is the area secure? Is it clean? How do I know someone else won’t pick up my child? Do the workers appear concerned and qualified? Guests often commented on the difficulty or ease of finding a parking spot. Was there a covered drop off if the weather was bad? Were there guest parking spots? Were there reserved places for young mothers and expectant mothers? Were there sufficient handicapped parking places? Last week my wife and I were in mall we had never visited. The first thing we did was go to a sign that had all the stores and their locations on it. Even small churches can be intimidating to first-time guests. Do you have adequate signage throughout the facilities? Is there an obvious information booth or table? Members know where to go; guests don’t. First time guests desire to find a place to sit as quickly as possible. They feel awkward otherwise. Is your worship center more than 80 percent full? If so, the guests perceive it is completely full. Are your members trained to move to the middle of pews or seat rows so guests don’t have to climb over them? Are their ushers or greeters available to lead guests to seats? When a guest has a good experience, he or she is more likely to return. When they return they are more likely to hear about and experience the love of Christ. When I was a pastor of a church with 70 in worship attendance, we decided to do something about our deplorable restrooms. We had a workday and almost half the church showed up. People donated materials, labor, and even toilets. At the end of the day, we had some of the nicest and cleanest restrooms in town. I don’t know how closely it’s related, but our attendance bumped up to 90 immediately and never went back in my tenure. Maybe it was the church working together. Maybe it was the community observing the unity of the church. Or maybe we just had clean restrooms. What issues are important to guests in your church? What changes has your church made? What changes should your church make?